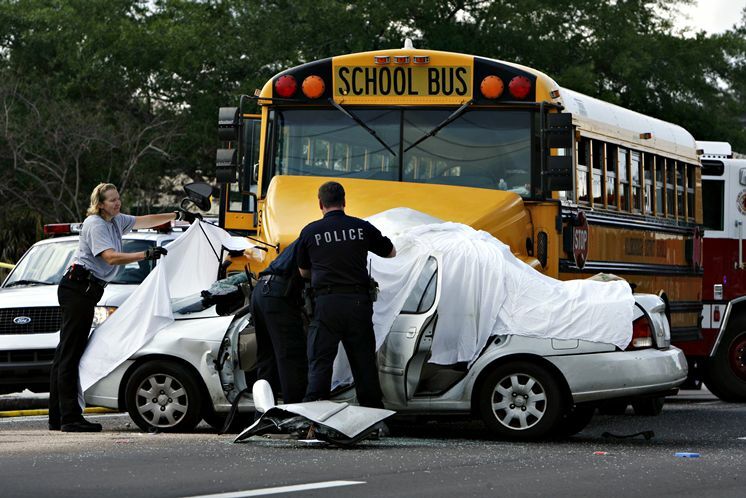 Tampa Bus Crash Attorney - BJE Law, P.A. Passengers extend their trust to owners, operators, and drivers each time they board a bus. They expect that the bus will be correctly designed, manufactured and operated. Passenger confidence extends to those who have the task of seeing that our roadways are kept safe for travel. When these duties are breached and serious injury occurs, who can you rely on for help? At B.J.E Law P.A., the firm is here to help you. According to the NHTSA, there are approximately 300 fatalities from bus accidents each year. These may include accidents involving mass transit, school, religious, charter, tour, or other smaller bus types. Common reasons for bus accidents include negligence, driver error, improper maintenance, defective parts, or dangerous roadway and weather conditions. Bus accidents often gain more media attention than other motor vehicle accidents because it is never the passenger’s fault and there are usually large numbers of victims; even though all traffic accident fatalities should command our sympathy, most motor vehicle accidents causing fatalities and injuries are often foreseeable and preventable. Many bus companies have lawyers and insurance adjusters who are trained to minimize your claims or totally deny them. In all likelihood you will be asked to make statements without a lawyer present. Additionally, fast settlements are frequently offered in the hope you will take a much lower amount of compensation than you deserve. You may be eligible to file claims for your medical expenses, lost of wages, pain and suffering, worker’s compensation, vocational rehabilitation, punitive damages and more. Tampa Car Accident injury law Firm B.J.E Law P.A. recommends you to take time to speak with an attorney before giving a bus company any information or agreeing to settle your claim. Call (813) 605-1193 anytime of the day to speak with attorney Brian Esposito about your case details.